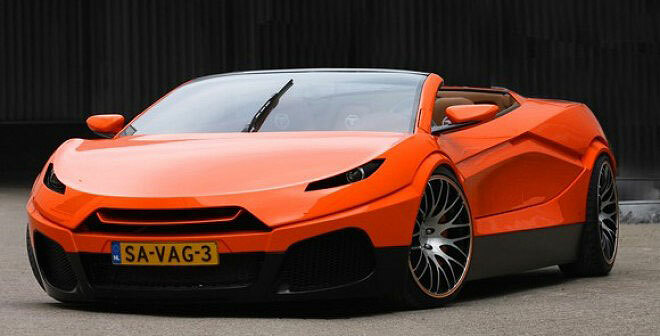 This is one very hot car! With a tip of the hat to the folks over at Wired.com's Autopia car blog, comes a story about a custom car that is just cool, it is hot. Ladies and gentlemen, the Savage Rivale Roadyacht GTS. Designers Emile Pop and Justin De Boer took a supercharged Corvette engine and stuck it inside a carbon-fiber frame. That's a 6.2 liter, supercharged engine with almost 700 horsepower! Initial estimates say this beast will do 0-60 in 3.2 seconds. Top speed for the Savage is said to be 200mph+. I would hope so! The excess doesn't stop there. This is no ordinary car, and thus would not have ordinary doors. It has 4, yes, 4, scissor doors. Priced at $340,000,production is scheduled to begin in the second half of 2010 and the car's builders plan to build just 4 a year for 5 years. 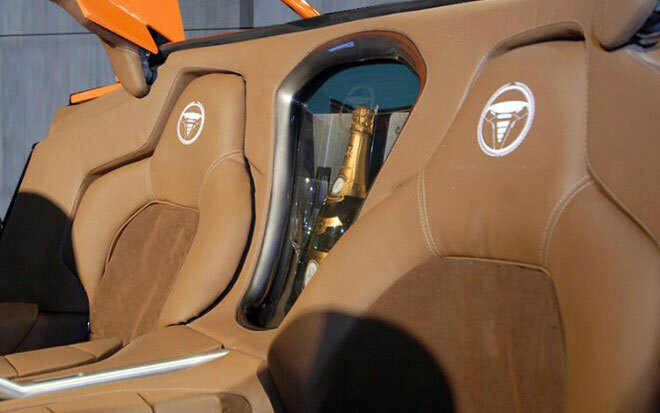 Oh, and by the way, it comes with it's own champange cooler! What not champage flutes? Oh, wait.....there they are!